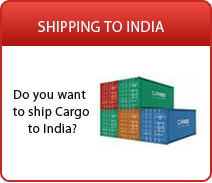 Do you want to ship pets to India? Are you concerned about shipping your pet? 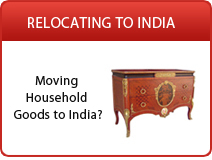 Ship2India.com helps you find Pet Moving Companies that offer high quality moving services for Pets, live animals, animals transported for zoological, agricultural or trade purposes. The extensive experience of these pet moving companies ensures that the welfare of animals is priority. Customers are also familiarized with regulatory requirements laid down by authorities to avoid unwarranted hurdles in transit and inconvenience. 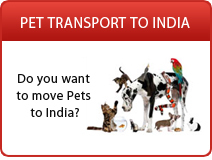 Simply complete the quote request form and get free no obligation quotes from multiple service providers specializing in shipping pets and live animals to India.